5 miles and 13 locks today. A day of mostly locks as we have only move five miles up the canal. A stop for lunch and a food shopping trip in Berkhampstead caused a bit of confusion. 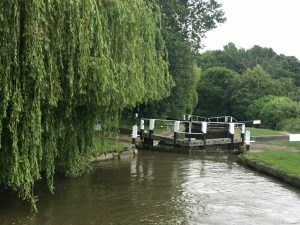 Our two boats were coming up and two others coming down, we were all aiming for the same mooring slot outside Waitrose. We had already agreed to moor breasted up, so this seemed to confuse tne other boaters. In the end tne leading boat coming towards us got there first, but we found a space further on. 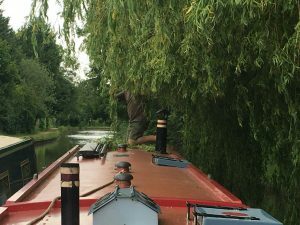 As we approached Rising Sun lock the view was obscured by an overhanging willow tree. Andrew got on the roof of Uncle Mort and gave it a good trim with his shears. 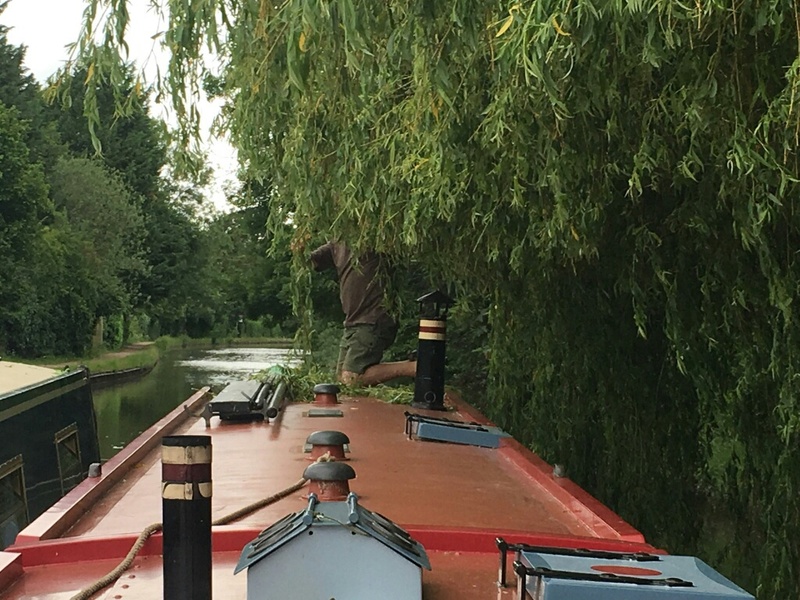 Later at tne appropriately named Bushes lock there was another overhanging willow. We roped the two boats together, Andrew steered both while I trimmed the tree.